This 22,000 sq. ft. building at De Anza College in Cupertino, California will be a state-of-the-art educational center combining interdisciplinary studies, energy management technology and community outreach. The Kirsch Center will be a building that teaches about energy and resources — a living demonstration of climate responsive, energy efficient design; environmentally sound building materials and systems; building integrated photovoltaics; participatory design; and collaborative education. 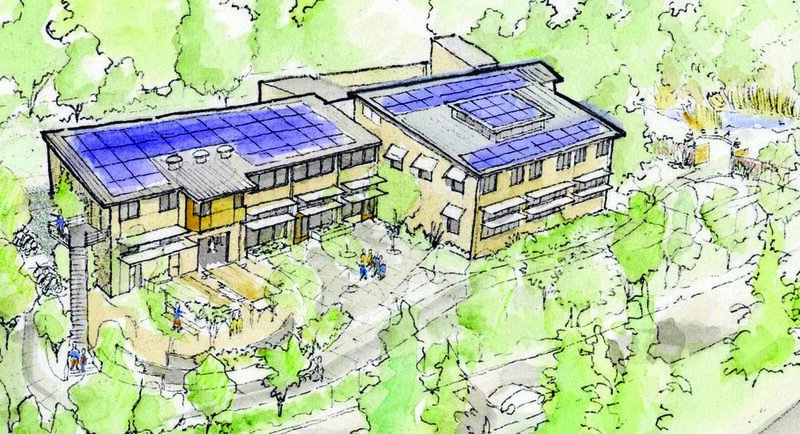 The Kirsch Center is the lead demonstration project for the California Statewide Energy Management Program (SEMP) and is also the lead demonstration building for energy innovation and sustainability in the California Community College District. Donald Aitken, internationally known energy expert, is advising as the college’s special consultant. VBN Architects is our partner firm in this project.